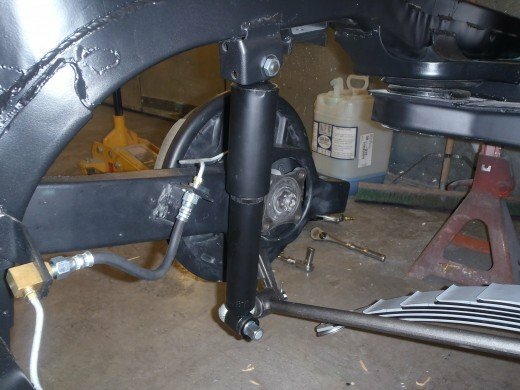 Now that the front suspension is pretty well complete we have moved onto the Corvette rear suspension assembly. 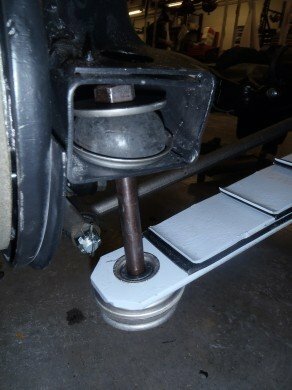 We installed the differential, lower strut rods, mono-spring, half shafts, and assembled the brakes. 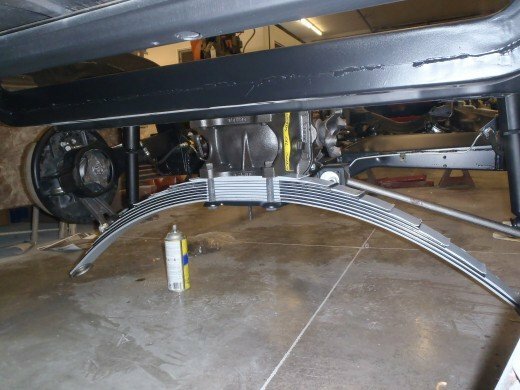 From assembling the rear suspension of the Corvette, it is once again confirmed that you need to keep a diligent eye out for reproduction hardware that is incorrect for your application. Also you need to pay close attention to the assembly manual to make sure things get assembled right the first time. 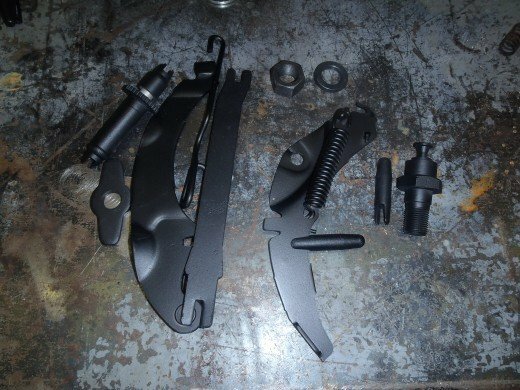 A lot of these items are very easy to install when the body is not on the chassis, but they can be quite difficult to remove when the body is installed. 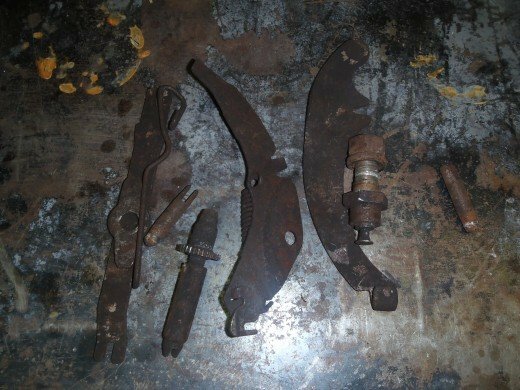 Here is all the rear brake hardware that we will be reusing. We’ll blast it and paint it. Here is the refinished hardware ready to install on the Corvette. 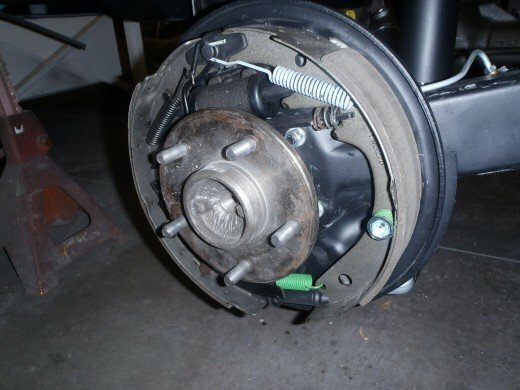 The rear brakes fully assembled and ready for the drum to be installed. 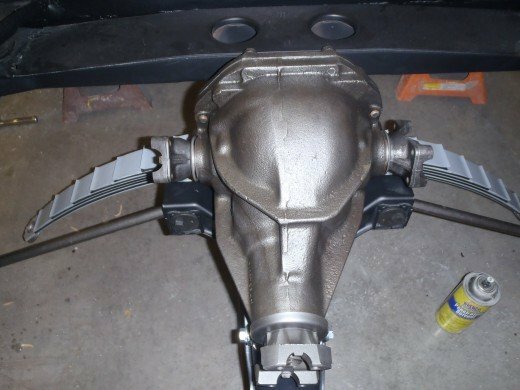 We installed are fully rebuilt differential. It still needs to have assembly marks put on it. One thing to note. In the reproduction hardware kit for the front differential mount, it comes with a gold cad bolt that the treads would be visible from underneath. The original bolt that was used was silver zinc. We re-plated the original bolt and reinstalled it. 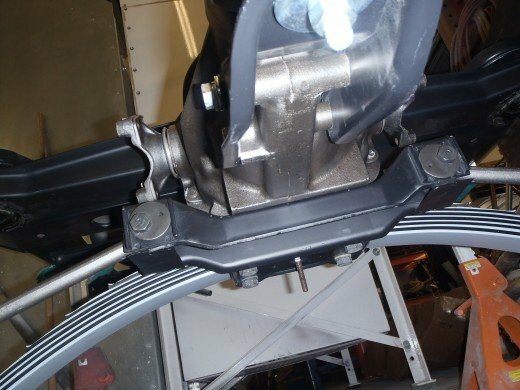 The rear strut mounting bracket with caster adjuster hardware installed. The mono-spring installed with the correct amount of liners. You may also notice that the bolt that acts as the center pin for the springs and also compresses them all together is quite long. 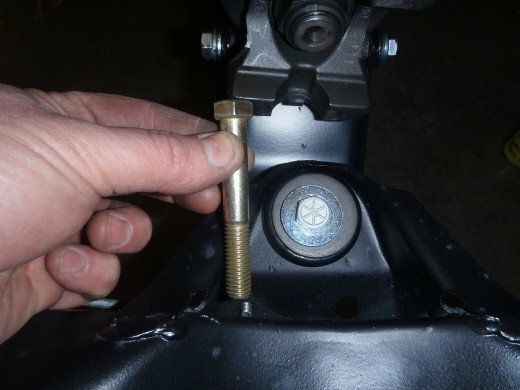 This is a reproduction bolt that is longer than the original that was removed, but being that long makes reassembling the spring pack a lot easier. 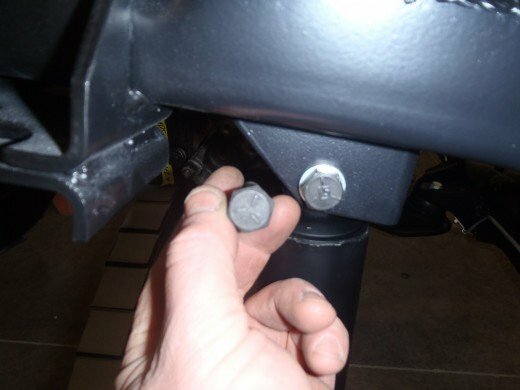 We will trim the bolt off to the right length. The mono spring mounting hardware. These can be quite a pain to install as the spring needs to be flexed quite a bit to reach the bolt. If you try to directly jack the spring up, it will just lift the chassis off the stands. This is where a few of your beer drinking buddies sitting on the chassis can come in handy. 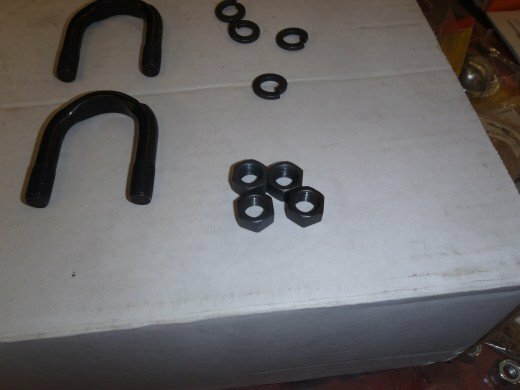 Just note that when you assembly the hardware, you put the large flat washers in with the rounded side towards the rubber bushings. 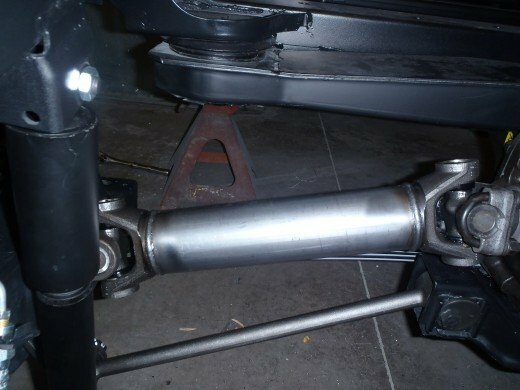 Here is the rear shock installed. This will also get a paper assembly sticker put on it. In the judging manual is states that a known head-marking for the upper rear shock mount is L5 – the reproduction hardware on the left did not have this. We refinished the original. We installed the half shafts. Here is the u-bolts for the half shaft u-joints. They came with gold nuts. 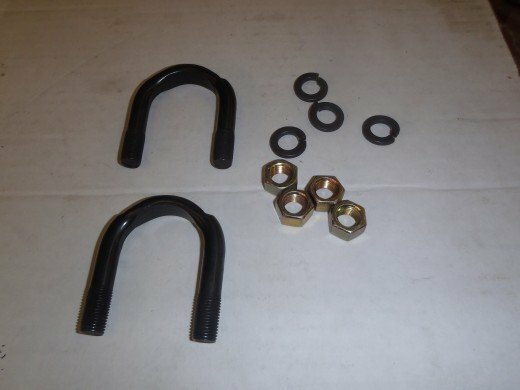 We went in our bolt bins and got black oxide nuts for the u-joints. Here is the fully assembled rear chassis. 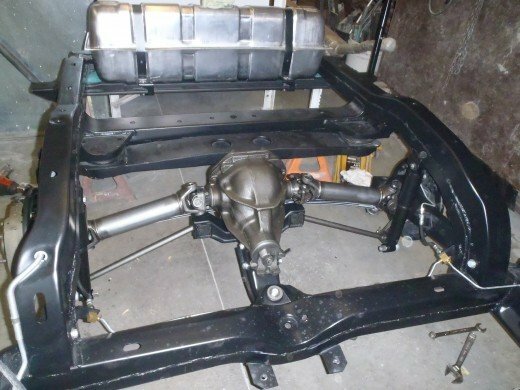 This is a great mile-stone as we now have a rolling chassis.